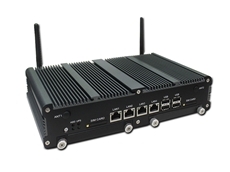 Backplane Systems Technology , embedded computer distributors, have announced the release of the ASB200-882, an Intel Atom-based compact, fanless embedded system. 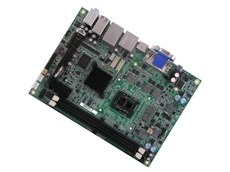 The ASB200-882 is designed for the IB882 Intel Atom 3.5" disk-size single board computer, with Z510 processor running 1.1GHz on a 400MHz front side bus, or Z530 processor running 1.6GHz on a 533MHz front side bus. The onboard 1.6GHz engine offers supreme computing performance with low power consumption designed for compact and mobile computing platforms. 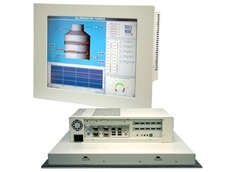 The ASB200-882 features a black fanless enclosure. The front-side connectors are for 2x USB and audio functions, while the rear has 2x USB, VGA, PS/2 keyboard/mouse, 4x COM ports, 2x LAN and 1x DC-in jack. This compact size system also features a 2.5" HDD, 80W AC adaptor and is desktop or wall mountable.